Tracing the history of preserving food, we can see how ancient cultures used to store and process items such as herbs, spices, meats, fruits and even vegetables in the Roman civilization or ancient Egypt. A major milestone in the history of food preservation was the 19th century. Till then, soldiers in armies were living off preserved meats poorly cured and subject to spoilage. Salt was a key preservative used at that point. It was French conqueror Napoleon who started the search for better methods of preserving food by offering a vast sum of money to those who devised safer and dependable methods of preserving food. It was French chemist Nicolas Appert who came up with the solution to the problem. He found that sealing food in a container that was airtight could save food from rotting. Five decades later, Frenchman Louis Pasteur discovered the link between the presence of microorganisms and the spoiling of food. The breakthrough led to a rise of new techniques of food preservation such as canning. But scientists continued to search for more efficient methods of preserving food, culminating in the modern method of dehydrating food which is so much more advanced than the ancient practice of drying it naturally. Food preservation is a set of techniques or methods to prevent food from spoilage. This includes canning, drying, dehydrating, freeze-drying, smoking, pasteurization and irradiation as well as addition of chemical additives. Food preservation has become an important part of the food industry and daily life. Food preservation is necessary because increased instances of food spoilage can be attributed to attack by microbes or disease causing pathogens. Oxidation leads to destruction of essential compounds, harming the biochemical composition of food as well. From using high heat to preventing chemical reactions that lead to oxidation and consequent spoilage of food, techniques of preservation aim to extend the life of food. To keep food from rotting, preservation is a must. Enzymes in raw fruits and other items can promote degradation which harms not only the texture and flavor, but also the nutritional value of food. Food that is contaminated may also become rancid or change color. Another interesting fact is that different methods of food preservation evolved in different societies and regions of the world, because of changes in temperature. For example, frozen or canned food in polar regions remains fresh, while canned food easily degrades in tropical areas. The science behind preserving food is complicated. Even frozen foods cannot survive beyond a few weeks. For food preservation to last longer, special treatments are needed. Humans have always had different measures to preserve food. Ancient people used to dry food in the wind and under the sun to remove the moisture. Drying the food slows the rate at which it becomes spoilt because microbes need moisture to thrive. But this very principle of using extreme temperatures now forms the basis of major methods of food preservation namely canning, dehydration, freezing, freeze drying, fermentation, pickling and irradiation. During the olden days, people in the Eastern countries where heat and humidity were high and preserving food was difficult, used unusual methods of preserving food. This includes wrapping foodstuffs in dried leaves and burying it in hot sands to dry further. Only a century back, those living in polar regions with freezing temperatures would create caches of food using freezing as a method to preserve meat they hunted. Decades later, Native Americans in northern America would use smoke from fire to dry meats, fish, herbs or veggies. Peruvian Indians dried potatoes by freezing them for the duration of the entire night. The air dried potatoes would then be thawed and squeezed to release excess moisture and air dried for storage. So, different communities and regions in different points in time have used wide and varied methods of preserving food to save it from one season to another. During ancient times, food was dried to ensure survival. Without dried foods, nomadic tribes would have been unable to travel vast distances. Using the sun, wind or smoke from fire, food such as grains, herbs, fruits and meats were preserved from one year to another. Perhaps the most advanced civilizations when it came to preserving food were the Greeks and the Romans, who learnt how to dry peas and grapes with a measure of success. When it came to preserving fruits like dates, melons and apricots, the Persians excelled. Chinese and Japanese people during the Middle Ages learnt the art of curing fish and sea vegetables. One of the earliest explorers to use dried milk products on their expeditions were Mongolian invaders! Early settlers in North America gradually learnt the art of sun drying venison, buffalo meat, herbs, squash and a whole lot of harvest crops as they pioneered homestead in the West. The 19th century marked a turning point in the history of food preservation, as people learnt to preserve fruit caramelized in sugar, and salted veggies and nuts. Fruits and vegetables in brine were another popular method of food preservation used during this time. Dried food was a means of preserving it, before the advent of canning and airtight, self sealing containers in the 1850s. Sealing wax, corks and other methods were used to seal the food in containers. Preserving meat has always been a challenge for cultures around the world. Ancestors during the Stone Age used to dry meat and fish for storing. As mankind advanced, so did methods of preserving meat. The meat or fish were pre-treated and cured in dry salt or brine (water and salt solution) to draw moisture out of them. The meat and fish were also smoked in order to preserve them. Different cultures like the Chinese or the European would not have survived had it not been for food preservation. While sun drying was a practice observed in Egypt in 12,000 BCE, it continued during the Middle Ages till Europeans invented still houses where food was dehydrated. The fruits and vegetables in such rooms were strung across a fire and dried for longevity. France remains the leaders in innovation, when it comes to food preservation. It was two inventors from France namely Chollet and Masson who developed a process by which vegetables were air heated to 105 degree F and dried and then compressed for longer shelf life. Dehydrated food experienced a resurgence during WWII. Dried soups, potatoes and puddings became nourishment for soldiers fighting the war. Dehydrated food for everyday use saw a boost with campers and hikers needing to preserve food for long durations. Each of the methods of food preservation discussed below has its own rich history and important milestones. Let’s see how wide and varied the history of preserving food across different cultures is. During ancient times, sun drying and using wind to eliminate food moisture was common. Studies have found the Middle Eastern and Far East cultures actively engaged in sun drying for preserving food as early as 12,000 BCE. More supplies and greater diversity in eating habits led to more advanced methods of drying. Vegetables and fruits were sun dried in ancient times, whether it was the Roman culture or the Middle Ages. But as science advanced, so did the practice of drying. Drying by natural means differs from that by artificial means such as freeze drying or dehydrating. The basic principle behind drying the food is that removing the water causes lack of enzyme activity and microbe growth. Vegetables, fruits, fish, meat and other foods contained moisture of around 80 percent. They had to be dried to 1/5th of their original weight and ½ of their volume. This food preservation method was therefore time consuming and laborious. Further, since ⅔ of the water content was gone, the dried product did not look or taste as attractive. Drying has been used since prehistoric times to preserve food. But commercial dehydration grew during the American Civil War. It was during the 1940s that dehydration as a method of food preservation thrived. However, it was mostly confined to dehydration of few food items such as eggs, yeast, coffee, milk, soup and such products which could be easily dehydrated. But now, science has advanced to the point where applying warm air to vegetables dehydrated them. Protein rich foods are also dehydrated. Liquid items like purees and sauces are dehydrated by introducing them into the hot hair chamber and internally heated using steam. Dehydration owes its origin to changing weather and shortfall of food supplies, especially during the winters when fresh fruits and vegetables were not available. 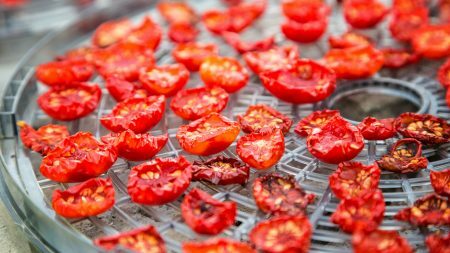 While drying food is a 5,000 year old practice, more basic and old fashioned methods of preserving food such as drying, smoking, salting, fermenting and freezing cannot match the marvel of a modern dehydrator. For example, the Arabic civilization discovered apricots can be macerated, boiled and dried for easy preservation in a practice known as quamradeen. 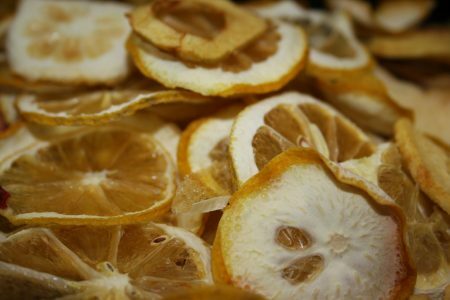 But now, food dehydrators can dry this fruit in a matter of days, even hours, depending on the make and model of the appliance. Once, the dehydrating techniques used depend on the food being preserved. Nowadays, food dehydrators come with timers, automatic shutoff features and a range of advanced specifications, making them ideal for dehydrating any type of food. For example, rice can dry naturally but modern drying methods preserve food in controlled environments and stable temperature, preserving the nutritional value of food. Freezing was a method suited to different climate. For freezing as a method of preserving food, it was necessary to have freezing temperatures for most of the year. When temperature fell, that was used to increase storage time using cellars, caves, or cool streams. In America, for example, there were ice houses to store food on ice. This practice was replaced by an icebox when mechanical refrigeration science advanced. It was during the 1800s that Clarence Birdseye discovered low temperature preserved vegetables and meats. He then invented the quick freeze process. While humans in prehistoric times stored meat in ice covered caves, the freezing of food saw its origin with another method of preserving items namely canning. The freezing process commercially was used for preserving food in 1842. Large scale food preservation using freezing commenced in the late 19th century as principles of mechanical refrigeration grew. Freezing preserves food by preventing pathogens from multiplying. Enzymes however, remain inactive in food only for the duration it is frozen. Once the food thaws, the microbes revive and grow more quickly than before the freezing process. Depending on the cut and type of meat, freezing methods vary. While pork is frozen immediately, beef is tenderized before being frozen. But though frozen food retain their freshness, they undergo changes. Quick freezing ensures less damage to food than slowly frozen items. But there were several problems with freezing food. Loss of liquid called drip in solid foods was one. Another was coagulation of certain food like egg yolk or cream. High cost of refrigeration makes this method of preserving food expensive. As food differs in composition, there are different temperatures for fruits as opposed to fish. Rate at which food is frozen depends on the temperature and the method used to freeze the food. Slow freezing can damage the texture of food while quick freezing saw this problem solved. In quick freezing, food is cooled to or beyond freezing point quickly so when it thaws, the texture remains. There are many methods of freezing food. One of them is contact freezing invented in the 1920s. In this method, frozen food is placed on a refrigerated plate and cooled to temperatures below freezing point. It may even be placed in parallel plates and cooled. In this method, food is immersed in cold liquid like 10 percent brine solution or even liquid nitrogen. Food immersed in such low temperature environments become frozen very fast. As with many methods of food preservation, freezing remains a useful method with some limitations. Freezing itself was an offshoot of the canning industry. Canning, another method of preserving food was pioneered even before freezing. Canning refers to the process whereby food is placed in cans or jars. It is then heated to the point where microbes are killed and enzymes are deactivated. This process of heating and cooling seals the food in vacuum and prevents other bacteria, mold or pathogens from contaminating the food. Canning was discovered by French inventor Nicolas Appert who understood that sealing food prevented it from deterioration. His theory was put into practice in 1806 for the French army. Englishman Peter Durand extended the principle of canning further, by developing tin cans in the early 1800s. Appert’s principle was explained further, when Louis Pasteur in 1864 discovered a relationship between microbes and food spoilage. Prior to Pasteur’s discovery, the pressure retort or canner was patented by Raymond Appert. This apparatus canned food at temperatures of around 212 degree F.
The method of canning is also known as sterilization. Current commercial canning operations are based on the fact that there is a 10x times increase in destruction of microbes with every 10 degree C rise in temperature. The first glass jar with airtight properties for home canning called the Mason jar was patented in the 1850s. Currently, tin, aluminum or other kinds of metallic cans can be used for this process. A drawback of canning is the addition of food preservatives. In fact, a special class of additives called sequestrants are even said to reduce oxidation. Some of these include tartaric and citric acid. This method of freezing and dehydration was invented in 1906 when food was frozen, placed in vacuum tight containers and dehydrated with careful application of heat. With freeze drying, ice turns into vapor and microbes do not grow. 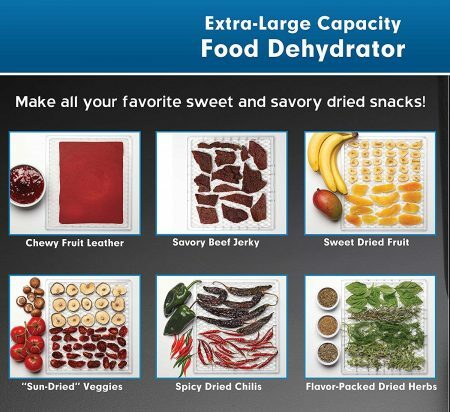 Freeze dried foods are dehydrated, requiring less space for storage and transportation. They do need to be rehydrated before consumption though. Inventor Arsène d'Arsonval from France is credited with this method of food preservation. It was in 1895 that German physicist Wilhelm von Roetgen advanced the concept of X-rays. Radioactivity was discovered by French physicist Antoine Becquerel during this time too. Both discoveries saw a new method of food preservation namely irradiation. This method uses energy from ionized radiation to expose food to beta, gamma or alpha rays. The rays release electrically charged ions which causes chemical and biological changes and the food no longer decays. Destroying microbes like bacteria, yeasts, parasites, insects and molds, this ripens fruits and vegetables and prevents infection and contamination of food. In 1990, US FDA approved irradiation of poultry. Irradiated food is used by US astronauts in space. But this relatively modern method of food preservation is not without its concerns, as the chemical and biological structure of the food changes once it is irradiated. Other methods can also be used to preserve foods, Salting of fish and pork meat has been practices since ancient times. As has smoking or the use of chemicals in smoke such as creosote and formaldehyde. Another major ingredient of preservation is sugar. Sugar should constitute 65 % of the weight of the final product to prevent bacterial growth once the product is heated. Vinegar is also a powerful preservative. Fermentation is the basis of preservation too. Another popular chemical preservative is Sodium benzoate of up to 0.1 percent or sulfur dioxide. Calcium propionate is also a baking preservative. Fermenting is a method of preserving food which was discovered around 10, 000 BC. Fermentation is a process whereby fruits change into wine as a result of certain microbe action. Cabbage is fermented in salads like Kim Chi or sauerkraut. Microbes that cause the fermentation process produce vitamins. So this method of food preservation adds to the nutritional value of food. Cheese is the result of fermenting milk. Bread is another popular fermented product as is flour, water, sugar, milk and other raw materials. Original raw materials used in the bread making process include yeast along with raw materials so that sugar in the mixture changes and causes the bread to become edible. Another method of preserving food invented by the Romans is pickling. Romans even made pickle sauce called garum from fish. Pickling involves preserving food in acids like vinegars. So many popular foods were discovered on account of pickling such as ketchup, chutneys, mustards and Worcester sauce. The latter was the result of fermentation in a chemist shop accidentally! Earliest methods of curing food involved drying it. Salts were used by ancient cultures to desiccate food items. This includes rock salt, sea salt, spiced salt and more. During the Middle Ages, curing was discovered to preserve the shelf life of meat. Meat is submerged in a salt solution called brine or injected into the meat. Preservation depends on brine temperature, the salt concentration and the presence of impurities. Curing is used to make pickles out of cucumber, and olives. It is also used to make corned beef and honey cured hams. Salt preservation includes dry salting or brine curing. The origin of salt as a preservative ca be traced to Ancient Egyptians who used salt to preserve food along with the mummy in burial rituals. The preservation of food became easier as mining of salt deposits from sea, evaporating sea water and brine from salt springs made salt available in vast amounts. Honey and sugar were also powerful preservatives. Fruits kept in honey were commonplace in ancient Greece. Romans used quince and honey to preserve the texture of food. Pickled foods came to the west from the Orient. In northern climates, where there is no sunlight to dry fruits adequately, preserves were made heating fruit with sugar. Food preservation was not just a part of survival, but also a celebration of religious and social purpose. In certain ceremonial rites, preservation of food using smoking or fire drying were symbolic. During the 20th century, science changed the way food was preserved. Food preservation is as old as the history of mankind. From prehistoric times to scholars of first century AD, food preservation has been recorded in every culture. In ancient Egypt, drying of grains and storage in silos is the earliest written instance of food preservation. 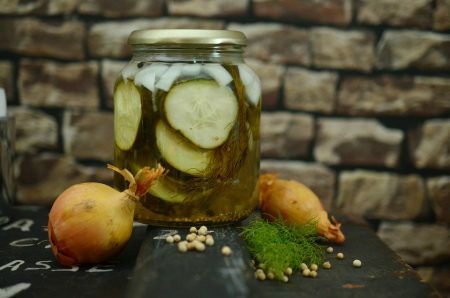 While fermentation, pickling, salting and smoking along with drying were ancient methods of food preservation, freezing, irradiation and dehydration are the more modern ones. What is remarkable is that drying and smoking food was traced as a practice to cultures in 6000 BC! Ancient Mesoamericans used salt to preserve food. With the advent of trading, preservation of food became critical. 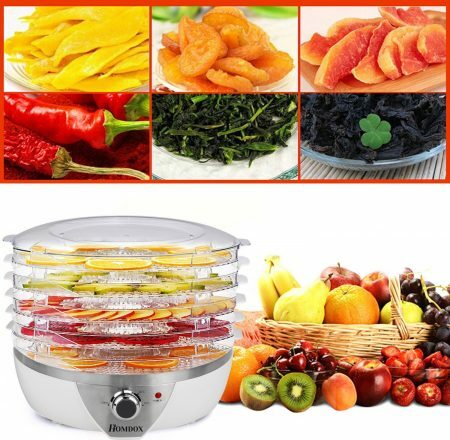 The first dehydrator for drying fruits and vegetables was discovered in France in 1795. Since then, food preservation has advanced to a point where food can be processed in hours using powerful dehydrator. As mankind has evolved, so have methods of food preservation. where did you get the information?do you have a certain source so I can confirm the validity of the information. im putting this in my highschool research paper I hope you don’t mind, but I find one information to be different from what I read on another website, so I just want to make sure you have a valid source to your information so I would have no doubt putting it in my research paper. All the sources are mentioned below the article so please refer that if required. We don’t have any issues using our information mentioned in our article so feel free to use that on your research paper.